App Stores we got to love them they come in all shapes and sizes with different standards and designs but which one of these stores is the largest? First of all remember that it’s not always the amount of apps that , but the quality of the apps that there are. However, generally the largest stores have the better apps. 1st Place Goes To Google Play Store (Android) 1.3 Million. The Google Play Store has a record of 1.3 million apps according to app brain. This puts it highest on the list and it continues to climb ever since early last year where it broke the 1 million apps mark surpassing the iTunes store and putting apple to shame. While there are a lot of apps on the Google Play store about 17% of these are apparently of lower quality and are just there for the sake of being there. This doesn’t mean that the app store is bad in any way Google has standards set for all developers before developing an app and most developers (coughs Facebook) follow them. This means that you can trust the apps and if Google ever does run into an issue with a low quality app that harms the users they do perform refunds, and take proper actions. Such as the fake antivirus app the store had. The company provided a full refund to those affected and it was removed from the store promptly. 2nd Place Goes To iTunes (IOS) 1.1 Million. The iTunes store which has been around for much longer and has had the backing of developers falls short by about 200,000 apps. Apple was first place several years ago but in early 2013 were they surpassed by the Google Play store and the gap continues to grow wider. However, with Apple’s changes to a better cleaner and easier development system we might see a come back as time goes on. However, at this point in time there is no clear sign of Apple catching up to Google. Most people think the iTunes store is the largest however, they are sadly mistaking. This may come as a shocker but the ever-growing app store for windows phones is becoming quite impressive. 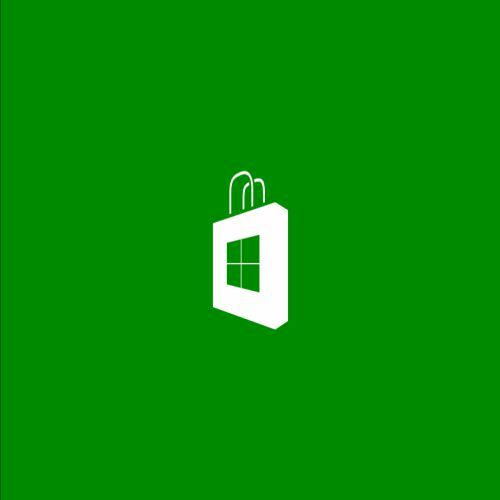 Developers are recognizing the windows app store as an important place to promote their apps however, the apps that people want just aren’t there. Many of the apps are not high quality and the Windows Store is split in two making it very complicated as to what people want and get. Apps such as YouTube do not exist and this makes it a large turn off to users for they say if it can’t do something as simple as YouTube why bother. Not only that but the Windows Phone has proven to not be that popular by most of the public and is in need of some sort of turn around. The Amazon App Store has always been a hesitant point for developers because they always ask the question of what’s the point. Amazon does have their own mobile devices but the numbers are not worth the gain. Small time developers will find it quite difficult here and most apps that do succeed come from established brands (Angry Birds, etc). However, Amazon does take its ride to fame as the 4th largest app store. Last and apparently least comes in the BlackBerry App World. The App World is very small and is not very active ever since the company tanked many years ago. The development of apps has not ceased but has been halted as the company needs to make major changes if they ever hope to get back into the game. Who knows maybe after they were sold to Fairfax the company might bounce back. Did any of these come to a surprise to you? If so let us know in the comments.